We are a locally owned operated company servicing Dayton and all surrounding areas. Whether it may be a single room or entire house we can design, produce and install the window treatment that compliment your current decor. Our professionals will come to your home and help you to choose from an endless array of styles, ranging from the timeless grandeur of classic drapes, to the light, open look of a contemporary, sunny window. 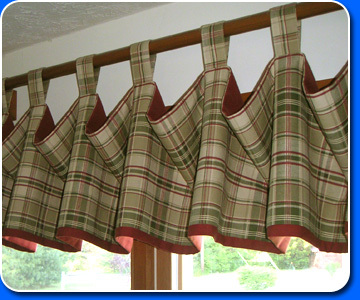 Let us help you add that extra touch of graceful style to the windows of your home or office.